amazingflyingpoo. Who IS this guy anyway? I remember the first time I noticed him lurking around one of the LittleBigPlanet community forums. I thought to myself, "With a name like that, he's either a genius or completely out of his mind. Either way, I'd better check out some of his levels." Apparently I wasn't the only one who thought that, because his levels have always been incredibly popular. When you load up an amazingflyingpoo creation, you are guaranteed a feature-length experience. His well-developed stories and clever gameplay mechanics make you feel less like you're playing a level and more like you're playing an entire game. amazingflyingpoo's brilliance (and insanity) aren't just limited to a single gaming platform. Having established himself as a staple creator-you-gotta-follow in LittleBigPlanet 1, he changed tactics and started fresh with LittleBigPlanet PSP where he again rocked the collective socks of the community at large. There he brought us space adventures, time travel, creepy towns, an occasional dingo... The list goes on. So what's his deal anyway? I certainly can't figure him out, so I asked him a bunch of questions instead. Read on. From mind-bending puzzlers to military conquests, amazingflyingpoo's creations are here, there, and everywhere. 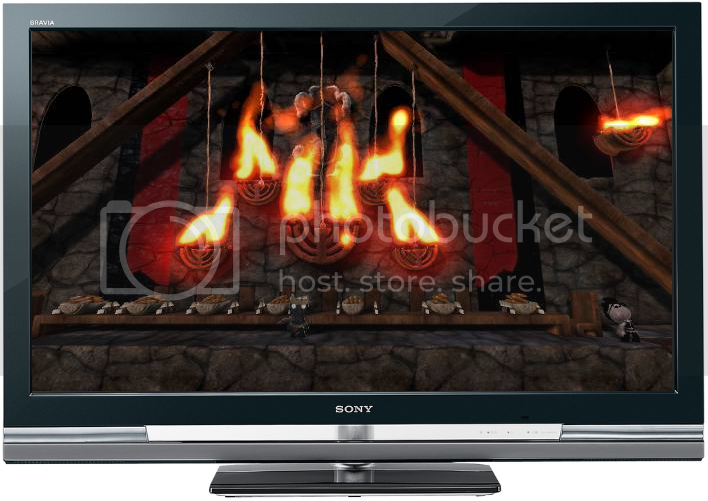 and I created it for the very first community run crown competition within months of the launch of the original LBP. I was fortunate enough to win the competition, and I believe that that was probably the main reason that I became a somewhat well known creator in the early days of LBP. I'm going to pick my favorite PS3 and PSP level. Hopefully that is alright. My favorite PS3 level would probably be LBL#3-Lost Memories of LittleBigLand. I started building this level before MM gave us the ability to control global settings like light and darkness with a switch. I had this concept of creating a huge level where time passes as you play, and things happen in the level based off of what time of day it was. I wasn't sure if I could pull it off since I couldn't try using the switches, but I decided to risk it and build the level and just anticipate them working a certain way. As for PSP, my favorite level is probably Here and There. This level is an odd one for me because I usually try to make my levels lean a bit toward the easy side so that...um.... not-so-talented players can still enjoy them and not give me 1 star. For this level, however, I decided to make a level that was a real challenge. The idea is that you have to pass between the foreground and background of the level to overcome obstacles, and as you continue you gain the ability to pass objects between the foreground and background. Creating a new mechanic like that was very satisfying, and it was extremely fun to make puzzles based around it. I had all sorts of things planned for the level like a boss fight and twice as many puzzles, but the thermo gave out on me. It still turned out very well and had incredible reception from the PSP community. I was in the LBP1 beta, so I have been playing it as long as possible I think :-) I actually bought 3 extra PS3 controllers just for the beta! I loved the beta, but I didn't pick up the game at release because I was finishing up a different game... I think Fallout 3? Anyway, I ended up picking up the original LBP in very early January of 2009. The first full level I ever built was Freeing the monster 2.0. I really wanted to create some big walking monster, so that was my goal in this level. I ended up making a gigantic cardboard monstrosity. It is just plain ugly. In the original form of the level, you literally just walk underneath it, pull a switch, walk back underneath it, get a jet pack, fly to the top of it and then ride it to the finish line. There was no challenge and it was the ugliest level of all time. I got plenty of bad comments on the level and was advised to add a challenge, so I decided to put spikes beneath the monster, and have many, many sponges dangling from it. The monster was constantly trying to walk, but it was blocked by a wall, so it would be kicking in the air as it tried to move forward but was blocked. This made it so all of the dangling sponges were swinging like crazy. It actually made a very interesting challenge to try to progress across all the sponges as they were tossed around. It is still to this day maybe a tiny bit fun, but the level is designed terribly and it looks even worse. The only real redeeming quality of the level is that it is humorous how terrible it is. It is hard to believe that I was not trying to be funny when I created some of the things in it because they are soooooo bad. The creator who has most inspired me is dsgeeno1. Back when I was starting to create adventure levels I happened across his level The 3 Wizards and it opened my eyes to what a level could be. In the level you gain new abilities as you progress, and this unlocks new areas. You learn to read minds (then when you grab a character you can read their thoughts), you learn to walk through walls, and I cannot remember the final ability. I was fascinated with this concept of gaining new abilities to unlock new areas. I really do think that his level helped me to become the creator that I am. My biggest inspiration has been the ideas that Mrs. Poo throws at me. She has never tried creating in LBP, so she does not know anything about the limitations that the game imposes. She will give me some interesting idea that is seemingly impossible. This leads to hours of me messing with tech to try to figure out if I could pull it off. It is a very interesting combination that has led to some of the innovative gaming concepts that have been in my levels. I think that my PSP level Destiny is the biggest example of Mrs. Poo inspiring me. She pretty much laid out the concept of the whole level, and then I had to figure out how the heck I was going to make it so that the player could travel between planets on a PSP level! I would say that my past experiences with adventure games has been my other big inspiration. Especially Zelda. I love that style of game, and I wanted to recreate the feeling as much as I could when I made my LBL series. My very favorite game of all time is Chrono Trigger on SNES. I have played that game many, many times and have loved it every single time. Other games are Final Fantasy VI, VII, IX, and X as well as Shadow of the Colossus, Silent Hill 2, Portal 1 and 2, ICO, Psychonauts, Oblivion, and I could go on and on. I'd say that the games that I listed make up some of my very favorite though. My very favorite thing about LBP is probably that it isn't a game where I succeed or gain popularity based on reflexes or some useless ability that I have honed by playing way too much. If I play a game like Call of Duty and I see someone who is amazing at the game then I actually have negative thoughts about them even if they are on my team. The issue is that they have played so much and have gotten good at a useless skill like quickly aiming, sniping, and twitch firing. This sort of thing doesn't apply to just Call of Duty or first person shooters. If I see someone who is ridiculously good at just about any game I feel the same way. However, if I see someone who is really good at making levels in LBP then I have a huge amount of respect for them. It shows that they have a mechanical oriented mind, they are very artistic, or just plain good at level design. It shows that they have skills, and are honing skills, that can help them throughout life, and these skills are making their level exceptionally entertaining for me to play. Unlike just about any other game, being really good at LBP is something that people should be proud of. Sure, your grandma may not understand and would probably still look down on you for spending 60 hours on a level, but your are actually creating something incredible and using many skills that can help you in your life. I hate that I need to be good with art in order to be considered a great creator. I am just plain terrible with art. Just last night I was playing with Mnniska and looking at levels he has been working on and I just kept wishing that I had a more artistic mind like he has. If you play any of my levels I promise that one of your first thoughts will probably be "Ew.... how did this guy get a Creator Spotlight?". I'm hoping that once you play through the level you will understand that there are other things I am good at, but art is not one of them. Just about everything that happened during the first few weeks of creating for PSP were horrible. Create mode for PSP was a buggy mess and it was almost impossible to create anything. I had this big plan to create a level where you would use a time machine to travel through time to rescue your son and save your marriage. I spent months planning the level out as I waited for LBP PSP to come out. To give a bit of background as to why I didn't just make it on PS3, I had moved to China and not brought my PS3 with me. All I could do was wait and plan. 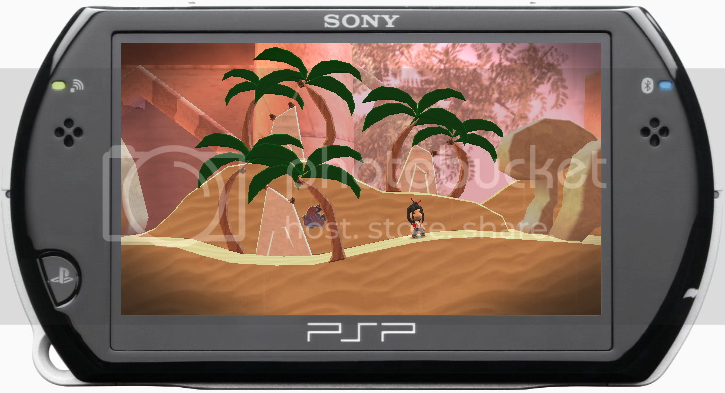 I finally got LBP PSP and dove right into creating. I spent about 5 hours on the level just to have it sort of drift apart. I tried to start from scratch again and had the same issue. For those who were not playing LBP PSP in the early days, there was an issue where just about anything that you placed in your level would drift a tiny bit every time you loaded create mode. So after a few hours of creating and testing, a level would literally begin ripping itself apart. You can imagine how infuriating this is when you have no idea what is going on. And this was just one of many issues. For instance, 2 way switches would even rip themselves apart! I wasn't doing anything strange with them. Just place them out in the level and eventually they will drift apart. I probably spent 15 to 20 hours on the level (and that is a conservative guess) and I had nothing to show for it. I was once again starting from scratch. If I had been in America and had had access to my PS3 then I would have given up on LBP PSP in a heartbeat. This whole time I had been posting around the forums trying to figure out how to fix the issue, and JackOfCourse posted on one of my threads and gave me the solution for the drifting bug. If you corner edited a material then it would not drift anymore! That would explain why only certain parts were drifting. This single bit of advice literally saved me from quitting on the PSP version. With that small fix I was able to build and release my level Now and Then which went on to be a much bigger success for me than any of my PS3 levels ever were! Oh, here's an interesting story! So, I had found great success after winning a crown very early on in LBP's lifecycle. I think I had one of the first 10 crowns ever given out, so it was something very rare and very special back then. Once I had won, I was barraged by people asking for tips on levels, level ideas, level reviews, etc... It was cool being so respected in the community, and was excited to try to help as much as possible. During this time I had begun working on my second LBL level, LBL#2-The Search for LittleBigLand, but I had a concept for a completely different level that I wanted to do. In this level you would be in a city talking to people and suddenly a bomb would go off. The level would be spent trying to save people while avoiding fallout and the dangers of a collapsing city. Anyway, I had this friend who was begging me for a level idea because he seriously thought that if I gave him an idea and he built it then he would gain fame for sure! I was a lot more cynical and I warned him that just because I had gotten a bit popular didn't mean that my ideas were gold or that people would care that I gave him an idea. Well, he kept asking, so eventually I gave in and wrote him a basic description of my apocalyptic level. He immediately went to work on the level. He came back to me many times asking for ideas as he built it and he even ended up having me come up with the name for the level. It certainly didn't turn out like I had imagined it, but it was fun to see that he had so much respect for me and tried to create my idea. Anyway, the level he made was called "Hopeless Fate...", and he created a series out of it after the original one became a huge success for him. It actually became more popular than my LBL series and has even had many tribute levels made for it! LOL!!! MM has done an INCREDIBLE job with LBP.me. Since the early days of LBP, I had been talking to my wife and other creators about something like that which would make it easier to find levels. One thing that I always wished for was a way to follow a specific creator. Let's say that I love FULLGORR's levels (which I do), but I can't be friends with him on PSN because his friend's list is full, and I don't want to be constantly checking his moon for new levels. I wish there was a feature where I could Follow FULLGORR, and then whenever he creates a new level it will notify me that FULLGORR has published a new level and queue it for me. Sure, it isn't the biggest change to the game, but it would sort of change the dynamic of the way people find levels. If you like story-based levels, look no further than the LittleBigLand series. Don't forget to pack a lunch. You are somewhat famous (or infamous) for having highly-rated locked levels. What's up with that? Are you cheating? With my first level of my LBL series, I really wanted to tell more story, but I didn't have the thermo, plus I knew that there were plenty of players who didn't want to do a lot moire reading since there was already a lot of reading involved with my level. I talked with Mrs. Poo about this issue, and she came up with an incredibly good solution. The intro to my first LBL level as well as the one I had been working on, LBL#2, had a piece of white wood that would scroll upwards and it had sticker letters which told the story leading into the level. She said that I should have an accompanying level for my main level, and this level would have a bunch of story boards that the player could unlock. So in the main level, you collect 10 stickers, and each sticker unlocks a storyboard and set piece in the accompanying level, and these really flesh out the story for those players who want more story. But the real catch is that you don't get the key to this LOCKED accompanying level until the very end of the main level because I didn't want people wandering into the level without the accompanying stickers because they would end up having no idea what to do in the level. And to make matters more extreme, the main levels for my LBL series usually take an average of 30 to 45 minutes to complete. So, we hadn't really thought of this at the time, but the only people that would ever access these extra levels were people who must have enjoyed the main level since they beat it and then went on to play the extra level. This mean that basically every single person who went on to play the extra level gave it 5 stars, and since the main levels were pretty popular, the extra levels got thousands of plays. All of this combined made it so that these extra levels became some of the highest rated levels on LBP, and one of them sat snugly at the #1 spot for over a month and it was locked, so nothing could change its standing! Every time I released a new LBL level, these accompanying levels would climb onto the highest rated and just stick there. You like to say that you aren't artistic, but the original stories you come up with for your levels are amazing. What is your source of inspiration when you write, and what is your overall creative process? I just spent longer than I would like to admit sitting here trying to figure out my inspiration and I really have no idea. In general I try to be as original as possible so I do my best not to focus on an already used idea if I can. In levels like Shallow Springs, I intentionally had a few shout-outs to Silent Hill, but the story itself had nothing to do with Silent Hill (unless there is a Silent Hill game that I don't know about where the men of a town are forced to sacrifice their wives to a monster in order to not be thrown into another dimension). And then in levels like "A Dingo Down Under" and "Greenie Go Home" I was intentionally completely ripping off of Story levels since that was what was asked of us for a competition, but I never do that sort of thing unless it is for a competition or something. I really try not to copy ideas when I come up with my stories, though people often draw similarities between my levels and other games. For instance, LBL#3 has a cloud of death that is approaching the town and about to kill everyone within a certain time limit (which has been compared to Majora's Mask), Now and Then has you changing things in the past to affect the future (which has been compared to Ratchet and Clank: A Crack in Time), and Destiny has you doing all sorts of space things (which has been compared to Mass Effect). Though people seem 100% confident that I get my ideas from these games, that is usually not the case at all. For instance, I had never even played A Crack in Time, so there is no way that I even accidentally subconsciously took an idea from that. And the whole concept behind Destiny was my wife's idea that she insisted I make into a level, and she is not a Mass Effect player. Shortly after your successes on the PS3, and nearly as suddenly as I am about to change the subject, you and your wife pulled up stakes and moved to rural China. Shortly afterwards, and because you had to leave your console behind when you moved, you started creating on LBP PSP instead. Did you plan to switch over to the PSP all along or was it more of an afterthought? But in response to the actual question, I didn't have a plan to move over to LBP PSP when it was announced at E3. It was a cool idea to be able to create wherever you go, but there were reasons that I wasn't all that excited about starting on a new platform. The main issue was that I would have to start all over again with a community. I felt that I had really found my place in the LBP1 community. Back before I went to China, there were not many people making RPG's for LBP, and those who were making them were usually making really stripped down, linear versions. I knew that if I made a level then it would get played and I would get plenty of feedback so I could continue to optimize my levels. I realize that a big argument these days is that your goal should not be to get a lot of plays. Perhaps I am selfish, but I just really like seeing that people are playing through the level that I just spent over 3 months making. I was really worried that I would spend a large chunk of time on PSP and then just end up with very few plays. creating on it before ever finishing my first level because of the terribly buggy create mode back when the game was released. So then, mostly by circumstance and partially by choice, you ended up creating exclusively on the PSP. It wasn't long before you became one of the biggest advocates of LBP PSP; you have always been very vocal about your fondness for the community in particular. What is it about the LBP PSP community that draws you to it? What sets it apart? I was involved in LBP1 since the original beta, though I didn't get involved in the community until soon after the game came out. That gave me about a year in the LBP1 community before I dove into the PSP community. I say that so that people can see that I really did experience the LBP1 community for about as long as I possibly could before moving into the PSP community, so there is a basis for the way that I felt about the two and it wasn't just a biased opinion from someone who had only really ever experienced the PSP community. My experiences with the LBP1 community made me feel that it was a very segregated community (but it is much better nowadays with LBP2). Back during those days the different fan sites did not play well together at all. On a number of occasions I tried to get fan sites to work together, but after a lot of failures I just gave up. Also, the focus on LBP1 had gotten so strongly based on the look of a level that if a level didn't look fantastic then it was treated somewhat badly even if there were good reasons, like lack of thermo due to other things in the level, that the level couldn't have outstanding visuals. Entering the PSP community, I hadn't even considered that these issues wouldn't be there, but to my delight we were pretty much given a blank slate to shape what the PSP community would become. Almost all creators and players switched between sites and it seemed that no one really cared. Because the PSP is not nearly as powerful as the PS3, the visuals on a level could not come anywhere close to what they could on PS3. This led to a much stronger focus on gameplay and original ideas. Incredibly unique ideas came out of the PSP community that a majority of PS3 players will never see. Overal, the PSP community was just a much more tight knit community than the LBP1 community was. Sure, it was a smaller community, but it was plenty big enough. On LBP1 I had some really good friends on a number of sites, but on PSP is seemed like everyone was my good friend and everyone was on every site. I'm sure that my experiences on the LBP1 side were different than a lot of people's, but I know that many people felt the way that I did as well. I'm very happy that the LBP2 community has evolved into a community where a majority of the users do move from site to site on a regular basis, and because of LBP2's huge tool set, unique ideas are everywhere now! As a whole, then, the LittleBigPlanet franchise has had a profound impact on your views related to creating worthwhile user experiences. This directly influenced your decision to take up a career creating iPhone apps for a living, which is quite a leap from your engineering background. LittleBigPlanet teaches us how to be creative, market our creations, seek feedback, and improve on our work; overall it makes us strive to succeed. How similar is creating and publishing a level to coding an iPhone app, and how have your LBP experiences shaped your approach in the "real world"? On a basic level I would say that programming can tend to be a lot like LittleBigPlanet except there is a bigger learning curve and a lot more to worry about since programming isn't as forgiving as LittleBigPlanet. Making tech in LBP and LBP2 using AND, OR, XOR, etc..., marketing your app around the forums, and dealing with updates to a level based off of user feedback (not to mention dealing with useless mean feedback) will get anyone familiar with some of the basic patterns that are necessary for programming, but that only gets you part of the way there. MediaMolecule has kindly included all of the art assets for you in LBP and also everything you need to create new assets is there, publishing a level is as easy as clicking "Publish", and testing a level to solve issues with bugs tends to be a lot more fun in LBP than it does in programming. I could point out a million different things that you have to worry about with building and app that never even cross your mind when making a level in LBP. So, I guess the answer is there are certainly similarities (heck, I even have to deal with apps being disabled by Facebook because of an automated system deciding it doesn't like me. Sounds very familiar to my experience with LBP PSP ), but there is a lot more to programming and creating something for the App Store than there is to publishing a level. LBP got me on the right track though, and the work flow of building a level really does get you some experience in what will be necessary when making an app. LBP Vita has been release and LBP Karting is right around the corner. How are your past experiences with LBP going to change the way you approach these news games in the franchise? Are you looking forward to them more or less as a result? Will you approach creating differently? Wow, lots of questions buried in there. Moving into new games like LBPV and LBPK brings a bunch of interesting obstacles along with the familiar things that we are all used to as creators. With LBPV, I feel that a lot of my previous experiences with LBP can be directly applied and mixed with some of my experiences from programming for iOS devices. It is a real treat whenever I get to sit down and work on my LBPV project because if feels like a mix of two things I love. I really do approach level creation in nearly the same way that I did with previous LBP games. I don't have nearly as much experience with LBPK, though the experience I had was fantastic. I feel that a lot of what I know from LBP has been turned on its head with LBPK, and some things that I have taken for granted are just not applicable anymore and I do miss them while creating. However, these missing aspects are replaced by some fantastic possibilities that only exist with LBPK since we have a 3D world to create in. Sure, my previous knowledge of LBP will help, but I don't think it will help as much as it does with LBPV. I'm not even really sure how I will go about creating a level since I've only ever made one level in LBPK. I know that my level creating process in the LBPK beta was nothing like my level creation process has been in the past with LBP games. As for which I am looking more forward to, I would probably say LBPK. It has nothing to do with one game being better than another, and everything to do with the new possibilities I am not even sure what to expect once the game comes out. Even with the small install base that came with the beta, we saw some truly remarkable things, so just imagine what we will see once more people have their hands on it and they have all the time they need to make whatever they want! And now... a lighthearted question: If you had to be stranded on a desert island with only one food to eat for the rest of your life, what would that food be? I'm guessing that the aim of this question is to figure out what my favorite food is, or what food I don't think I would ever get sick of, but my inclination is to go with something that would keep me alive as long and I had an infinite supply. I Googled to see what I should take with me that would keep me alive and it told me to take a "bottomless vat of mother's milk". I'll go with answering the bit about advice. I realize that most people reading this are very involved in the LBP Forums, but a majority of LBP players have never really delved into the forums. I would like to let every new creator know that I seriously believe that if you are a creator who wants to get your levels played and who wants to improve your skills at creating then you are severely crippling yourself for absolutely no reason at all by avoiding the forums. Sure, it can be intimidating at first, especially when a guy with a name like amazingflyingpoo tries to talk to you on your first visit, but there is a HUGE payoff if you will just take the time to get involved. A world within a world. The Destiny series is a must-download for any PSP owner. I think it's pretty clear from amazingflyingpoo's lengthy and well-thought-out answers that a darker power is at work here. It's possible he is just a well-rounded, brilliant creator with an uncanny knack for gameplay and a true passion for the LittleBigPlanet community, but I'm not buying it. He still hasn't managed to explain that name of his, or how he got all that crazy logic to work on the PSP. Clearly more research is required. I don't know about you, but I will be keeping a very careful eye on whatever amazingflyingpoo creates next, regardless of the platform. I may not completely understand exactly how he does what he does, but I sure do like it. Sweet , cant wait to see your stuff for the Vita Poo! A brilliant article with some great depth and details. I was hoping this Spotlight would materialise eventually, and I wasn't disappointed. Here's to the obscenely-talented Mr Poo! This was a great Creator Spotlight Taffey and Poo! I really enjoy understanding what inspires and motivates artists (and YES Poo, you do qualify, even if you think not ). Bravo! Amazingflyingpoo is my favorite creator. He inspired me to create my levels and to push myself with what I know and what I can do. Keep up the great work! I love what you do and am glad you are so helpful and supportive to the community.